Our range of products include crystallizer system. 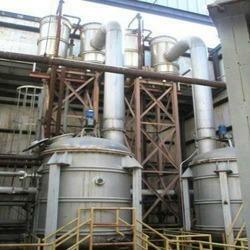 Backed by our rich experience in this domain, we have bring forth a high quality range of Crystallizer System. Our range is fabricated in accordance with the set industrial parameters by using top grade raw material and components and advance technology. The offered product is precisely designed to thoroughly clean the water by removing the impure solids and making it suitable to be reused in various industrial plants. Our range is available in varied specifications and can be customized according to the demands furnished.